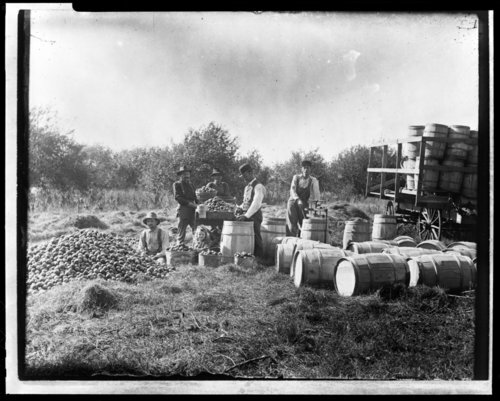 Two photographs of a group of men at Spring Glen Farm, owned by Edward L. Knapp in Maple Hill, Kansas, processing harvested apples. They are identified as: Edward Knapp, Archie Wylie, unknown, Floyd Harkins, and unknown. The little girl, seated, is Ethel Knapp.